What a day. You guys are in for a treat when the TOC airs starting November 10. Alex should wager 6,995 to cover Elisa. 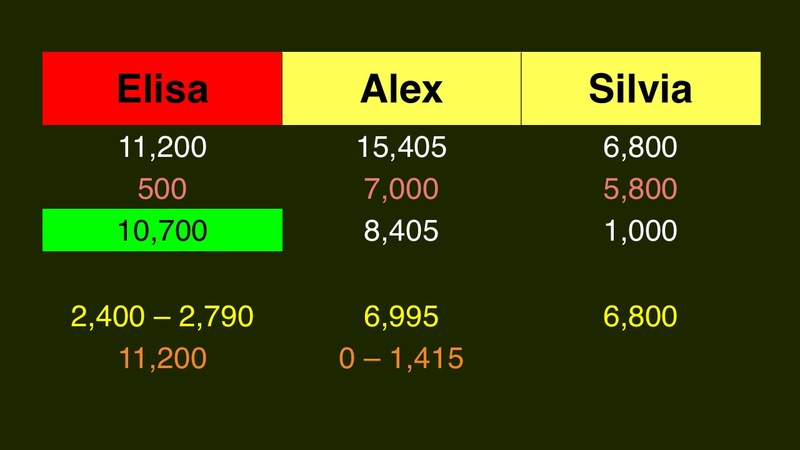 Elisa can wager up to 2,790 to stay above Alex if they’re both wrong. Silvia is still alive, but must get it right. Elisa should wager 2,400 to cover Silvia. 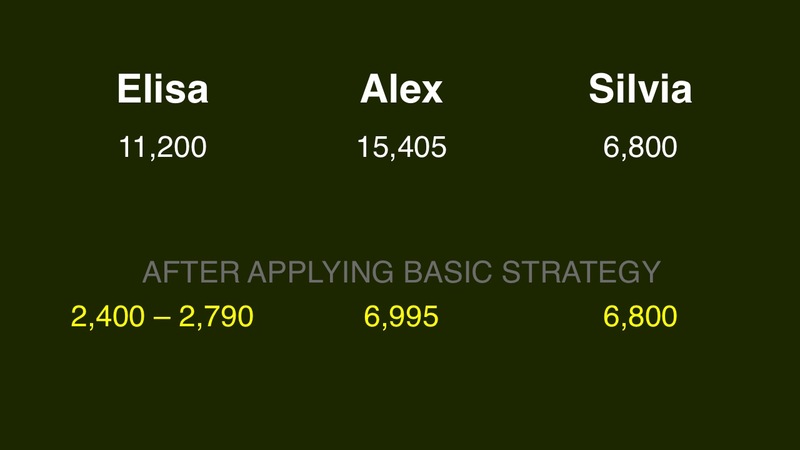 Elisa can’t safely cover a zero wager by Alex, since does not have 3/4 of his score. Let’s say Elisa makes the “safe” wager of at most 2,790. 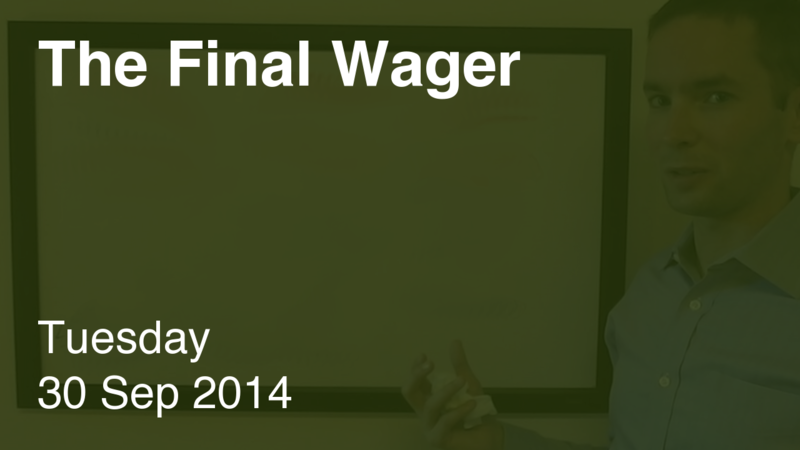 Should she go that route, Alex could guarantee a win by capping his wager at 1,415. If she’s afraid of this, Elisa could bet the farm. Wow. Not only do all three players miss a slam dunk of a clue, but the worst response — and wager! — takes the cake.